According to experts, 80% of learning is visual, which means that if your child is having difficulty seeing clearly, his or her learning can be affected. This also goes for infants who develop and learn about the world around them through their sense of sight. To ensure that your children have the visual resources they need to grow and develop normally, their eyes and vision should be checked by your Garden City, NY eye doctor at certain stages of their development. You can ensure that your baby is reaching milestones by keeping an eye on what is happening with your infant’s development and by ensuring that you schedule a comprehensive infant eye exam at 6 months. 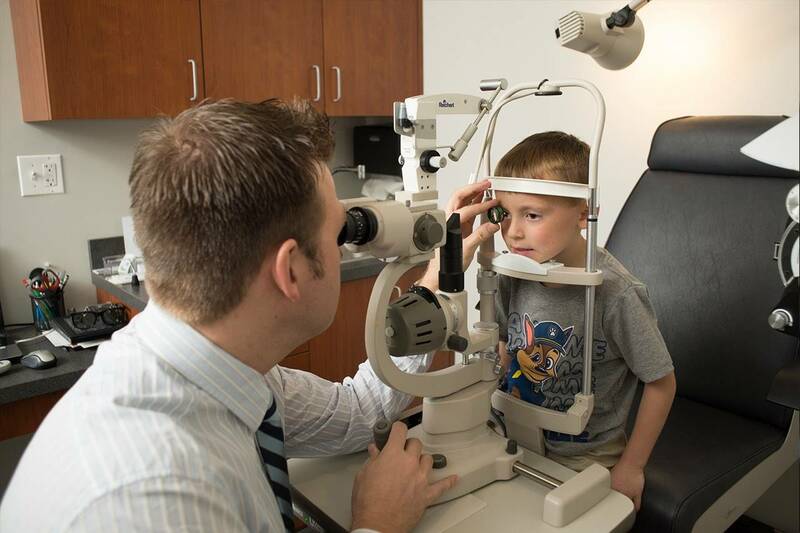 At this exam, you eye doctor in Garden City will check that the child is seeing properly and developing on track and look for conditions that could impair eye health or vision (such as strabismus(misalignment or crossing of the eyes), farsightedness, nearsightedness, or astigmatism). Parents should also be aware of any developmental delays having to do with object, number or letter recognition, color recognition or coordination, as the root of such problems can often be visual. If you notice your child squinting, rubbing his eyes frequently, sitting very close to the tv or reading material, or generally avoiding activities such as puzzles or coloring, it is worth a trip to your Garden City eye doctor.